Four weeks ago, in this column we ran an article on rain swales (“Slow it, Spread it, Sink it”-- Creating a Rain Garden,” Nov. 2, 2018). A week after that, the Camp Fire made the idea of planning and planting a rain garden seem all too irrelevant. 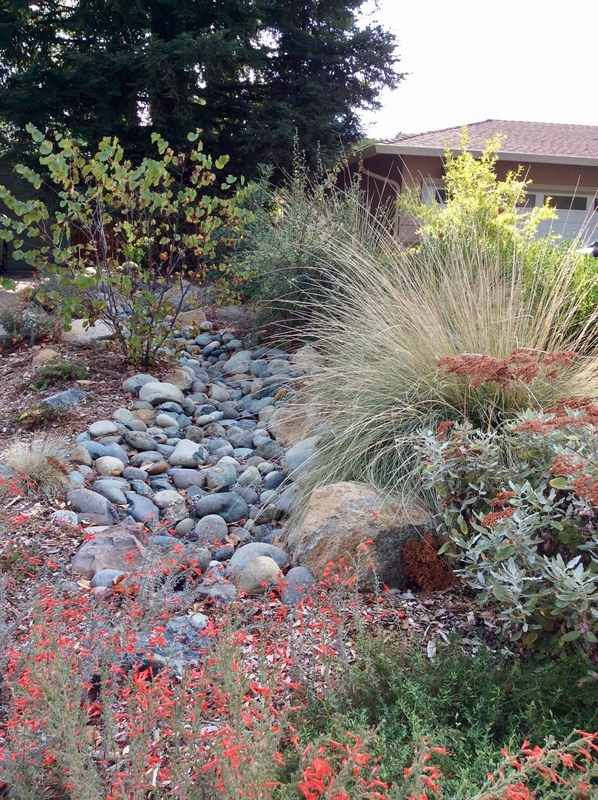 Now, with several full days of decent rain behind us, more rain in the forecast, and the Camp Fire declared 100% contained, we can start thinking again about how to practice effective water conservation in our own yards. Those of us who are fortunate enough to have gardens can make the most of the gift of rain. Therefore, this week's Real Dirt is a list of appropriate plants for the kind of rain swale discussed in the previous article. It is far from an exhaustive list, but it provides a solid start for those beginning such a project. 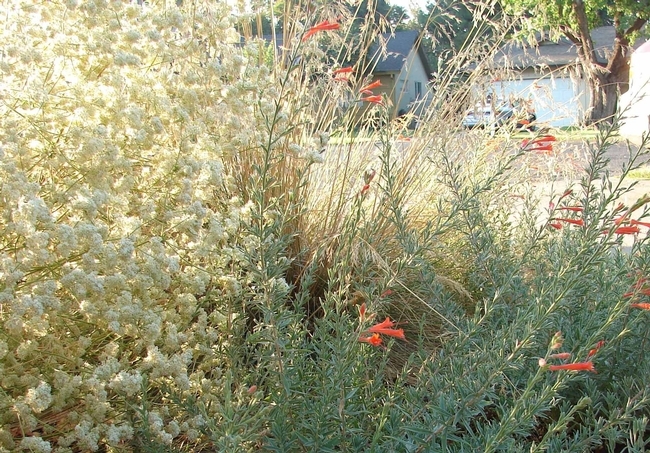 Because our region's climate of hot summers and (with luck) moist winters requires plantings that can withstand these extremes, most of the species suggested here are California natives adapted for those conditions. Species from other Mediterranean climates are also good bets. By design, a swale has different zones of moisture, from a soggy base to a dry upper bank, so the water requirements of countless species can be met (this is one reason why our list is by necessity incomplete). Note that our merciless summers require additional irrigation for even drought-tolerant native plants while they are getting established. A spare but regular drip-irrigation line for the first two summers will improve survival rates. One approach to dealing with drought conditions in the garden is to turn to native plants that are well-acclimated to our local environment. Some gardeners new to planting natives may be concerned that these plants might require special care, but in general they need not worry. While some natives can be difficult in the garden, most are not, and many are very easy to grow. 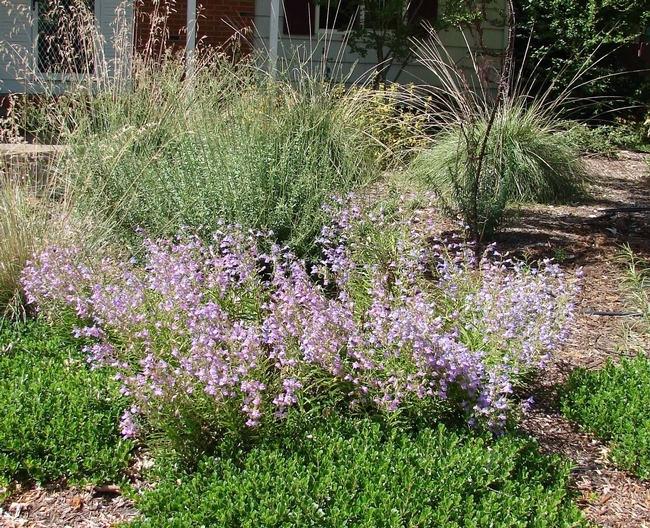 Three local landscape designers specializing in native plants offer the following suggestions for “no fail natives.” In addition to being easy to care for, these particular plants give a threefold return on one's investment: they are attractive, versatile, and provide valuable support for wildlife in the garden. John Whittlesey, owner of Canyon Creek Nursery and Design, is a fan of Cleveland sage (Salvia clevelandii) for its “fragrant foliage, showy flowers that attract an array of pollinators, and extreme toughness for full sun and little water.” This woody perennial blooms in early summer with spikes of blue flowers in whorls around the stem. Whittlesey suggests planting them with the robust matillija poppy in larger gardens, or with the white-flowered native yarrow in smaller gardens. Cleveland sage grows three to five feet tall, although the cultivar ‘Winifred Gilman' is a little smaller. 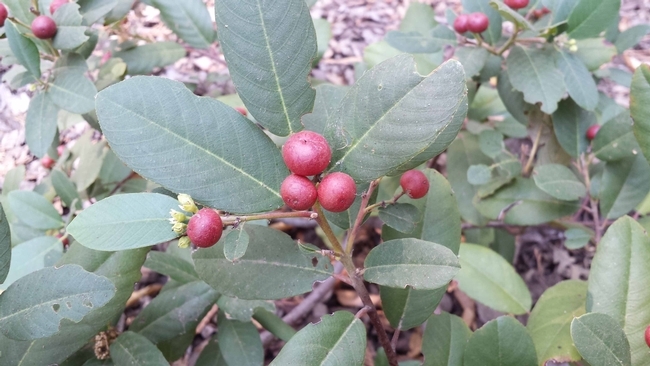 Jason Mills, owner of Ecological Solutions, suggests, “If you're looking for an evergreen shrub, why not try giving the local and less commonly used hollyleaf redberry (Rhamnus ilicifolia) a shot?” Hollyleaf redberry has small serrated leaves, resembling holly. It grows best in full sun or partial shade. The flowers are small and inconspicuous but develop into beautiful red fruit, which provide food for birds. It grows five to ten feet tall and needs no summer water once established. 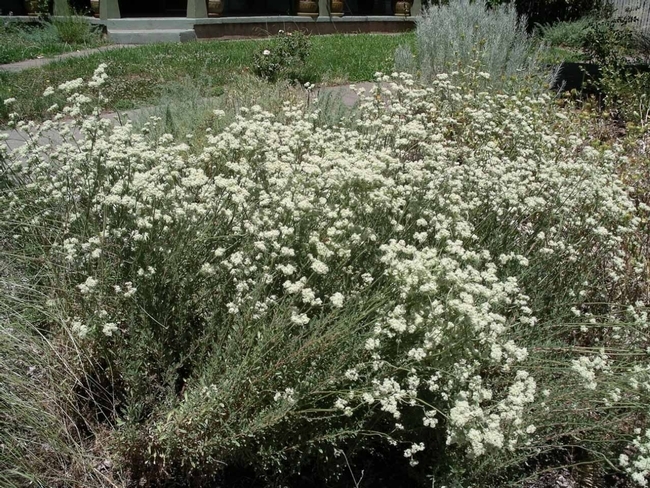 Both Werner and Whittlesey recommend California buckwheat (Eriogonum fasciculatum), one of several species of buckwheat that are native to California. Werner says, “California buckwheat is an evergreen shrub with a whimsical, mopsy form, much like baby's breath on steroids. Its pom-pom-like flowers bloom white in summer and then age from dusky pink to deep russet.” Whittlesey likes growing it in a sunny dry border with California fuchsia, penstemon, yarrow, sages, flax and grasses. It attracts many native bees when blooming. 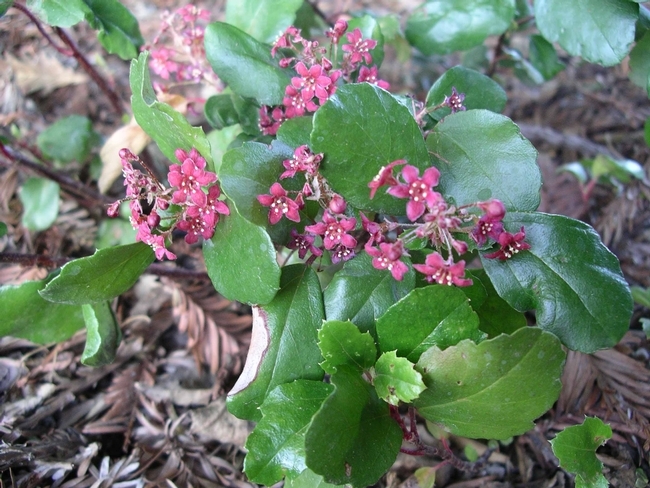 California buckwheat grows to about 3 feet tall and wide and needs no summer water once established. 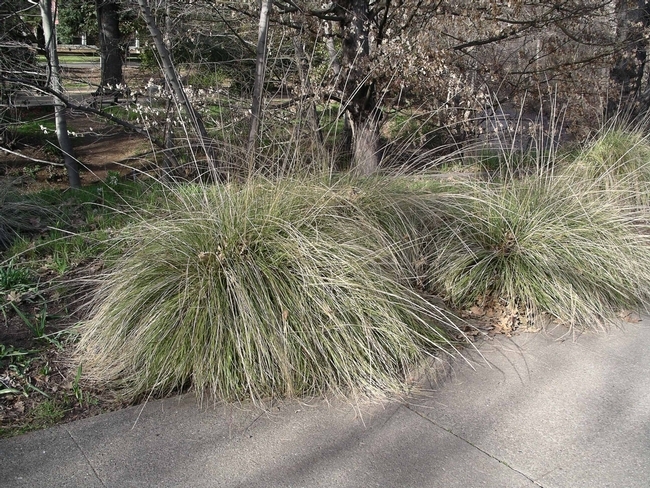 Mills and Whittlesey like using the large perennial bunch grass deergrass (Muhlenbergia rigens). 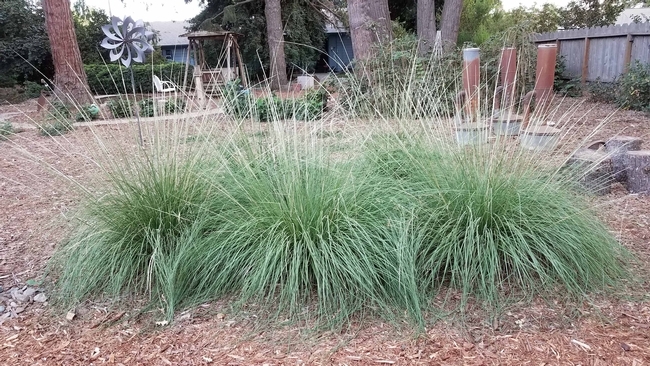 Whittlesey says, “I use deergrass to bring a rhythm and flow into a garden. When in flower in later summer, it has a stronger architectural form which holds through the winter months. It combines readily in front of larger shrubs or as a foil for small shrubs and perennials.” Deergrass forms a dense clump to 4 feet tall and wide in full sun or light shade. On our hot summer days, shady garden areas can offer welcome respite from the heat. One of the challenges of gardening in shade, though, is adding interest through color, because it can be difficult to find plants that bloom in shade. 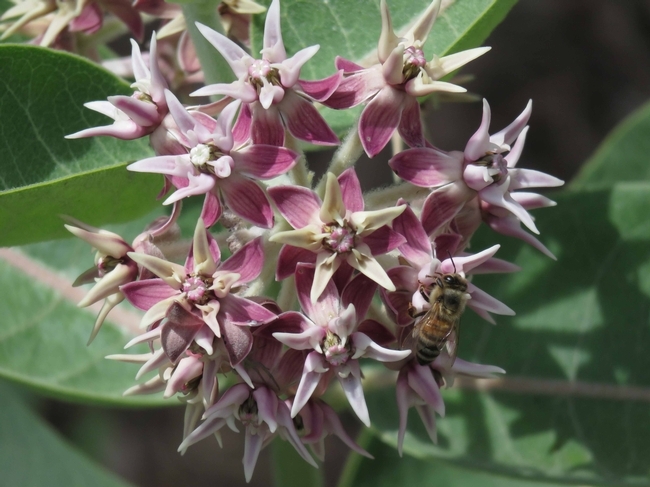 Incorporating native plants in your garden can greatly increase the choices available to you. One plant suitable for dry shade is Catalina perfume or evergreen currant (scientific name Ribes viburnifolium). Native to Catalina Island and Baja California, it is a small evergreen shrub with glossy dark green leaves that have a spicy fragrance. The arching red stems reach 3 feet tall and spread about 6 feet. Pruning the stem tips will increase the density of the plant. Small rose-colored flowers appear from February to April. The fruit, a reddish-orange berry, isn't commonly seen in garden settings. While Catalina perfume needs no supplemental water once established, it can tolerate more, so it can be grown alongside plants with greater water requirements. 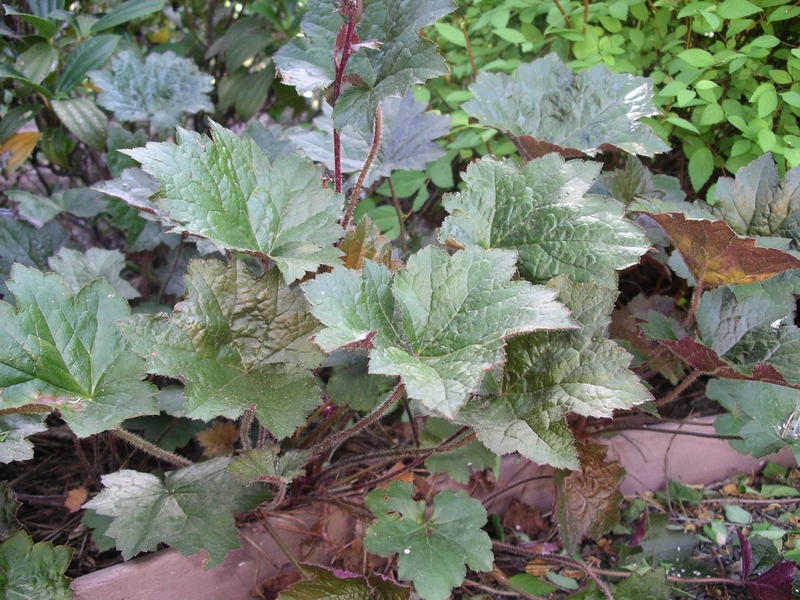 Coral bells and alum roots in the genus Heuchera are herbaceous perennials native to North America. Their large lobed leaves on long stems are evergreen, making the foliage attractive all year. They have tiny bell-shaped flowers held above the leaves in airy sprays on long stems. These plants look especially nice growing in drifts under trees. They grow well in filtered or part shade and require only occasional to moderate water. Their woody rootstocks should be divided or cut back to short stubs every 3-4 years. Many local gardeners enjoy growing azaleas for their beautiful flowers in the spring, but few grow the equally beautiful western azalea (scientific name Rhododendron occidentale). 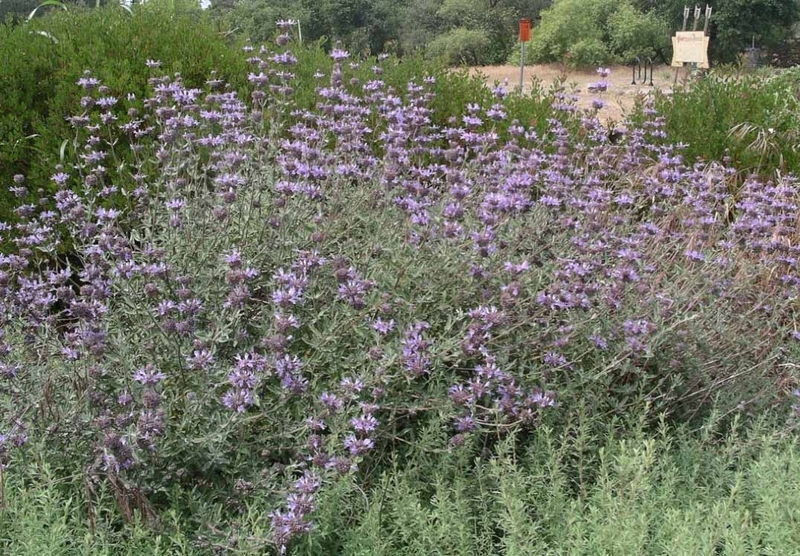 It is native to the coastal ranges and the west side of the Sierra Nevada and Cascade mountains of California and Oregon, including Butte County, where it grows along streams or in other moist areas. 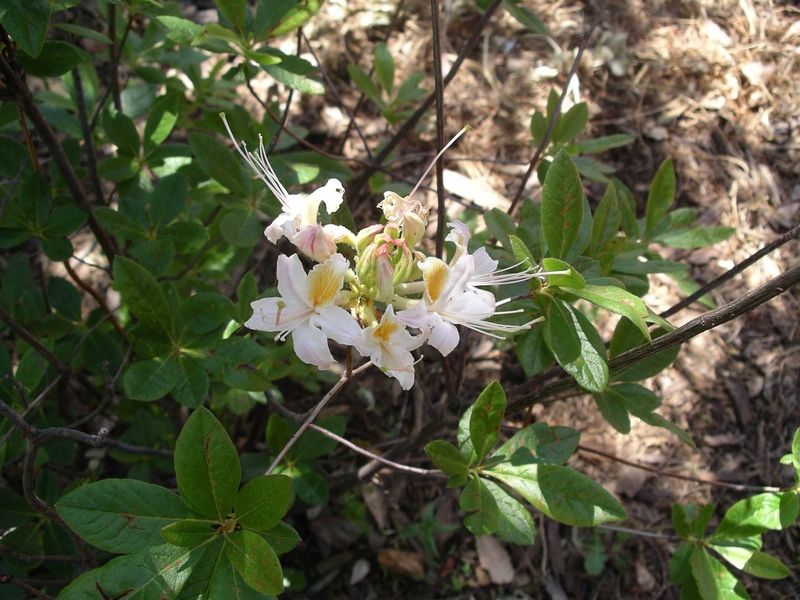 In fact, a dried specimen of western azalea collected in Cherokee by Annie Bidwell in 1879 is housed in the herbarium of Harvard University. Western azalea blooms in May and June, later than other azaleas, and has large white or pinkish flowers with a yellow blotch on the top petal. The long stamens extend beyond the flower. Unlike other azaleas, the flowers are fragrant. Western azalea blooms best in filtered or part shade; it will grow in full shade, but blooms will be sparse. Too much sun will burn the foliage. The leaves are deciduous, turning yellow in the fall. At maturity it can reach up to ten feet in height. Like other azaleas, it requires acid or neutral soil and routine irrigation during the dry season. Western azalea makes a worthy companion for other acid-loving plants in the garden. By Cindy Weiner, Butte County Master Gardener, July 29, 2016. By Cindy Weiner, Butte County Master Gardener, July 1, 2016. While this more traditional style is beautiful, it is not particularly well-suited to our Mediterranean climate with hot, dry summers, and therefore requires irrigation several months of the year. But there are many areas on campus where native plants are featured in the landscaping, and these areas are multiplying in tandem with changes in the built environment of the campus. New plantings of natives and compatible non-native, water-smart plants are generally added to complement new buildings (such as, most recently, the new Arts and Humanities Building) or where lawn has been removed. According to Alonzo, the goals for landscape remodeling projects are sustainability; bringing harmony to the campus; blending the contemporary look with the more traditional look of older plantings; clustering plantswith similar water requirements together in an effort to conserve water (an approach known as hydrozoning; and educating visitors about the “new” (sustainable, water-wise) California landscaping. The riparian corridor along the creek contains many mature native plants. This area was overrun with invasive plants such as privet, catalpa, and Chinese trees of heaven, until members of the Chico Creek Stewardship Committee and the student Arboretum Club took on the project of clearing then replanting it with natives propagated by students. Beginning in the early 1990s, this project took more than twenty years to complete. Some of the trees and shrubs growing here are valley oak, western sycamore, Oregon ash, box elder, black elderberry, redbud and spicebush. The Creekside Education Garden is on the south side of Big Chico Creek just west of Sylvester's Café. Developed in the spring of 2011, it contains native species historically found adjacent to riparian zones and used by the Mechoopda and other local Indian tribes. Signs indicate the common name, scientific name and sometimes the Mechoopda name of these plants. Deergrass, California wild rose, valley gum plant, and showy milkweed are some of the plants grown here. The Phenology Garden is located in the raised planting bed at the east entrance to Holt Hall. Phenology is the study of periodic plant and animal life events related to climate conditions, such as flower blooming or bird migration. Planted in 2014, it is used by students to participate in research involving long-term data collection. It contains primarily native plants that require no supplemental water once they become established. Foothill penstemon, alum root, snowberry, sticky monkeyflower and western dogwood are some of the plants in the Phenology Garden. lawn. Designed to resemble a forest understory layer, it contains giant chain fern, bigleaf maple, western dogwood, redbud and western columbine growing under existing mature trees. Two large planting beds between the new Humanities building and the Performing Arts Center were also installed in the spring. These contain shade-loving natives such as coffeeberry, evergreen currant, bearberry, Oregon grape and creeping mahonia planted in long swathes. 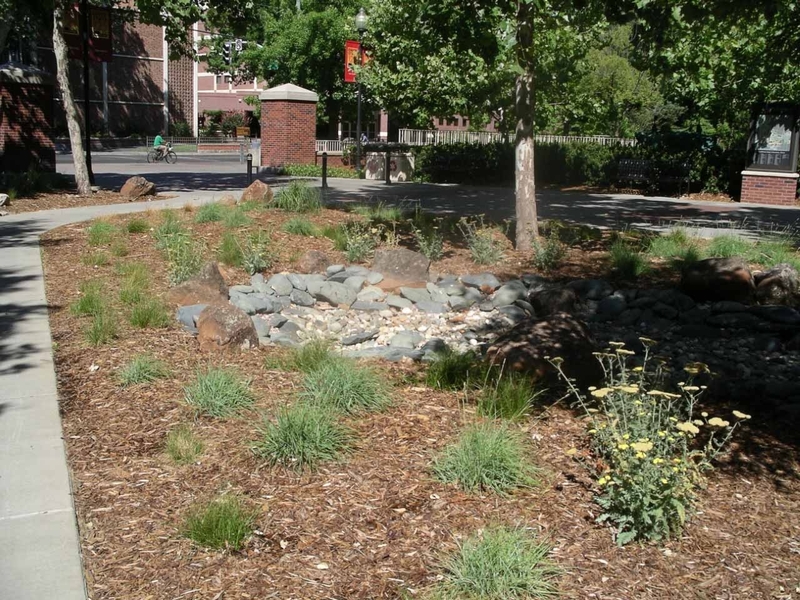 A new planting area combining both natives and non-natives will replace some of the lawn between the Acker and Shurmer gyms and Yolo Hall and will be installed in the fall. Keep an eye on these new areas to watch these gardens grow and mature.